The Super Slim Randomly Orientated Acetate™ filter is manufactured using an innovative, patent-pending process from high-quality crimped cellulose acetate fibres, which are bonded in a non-uniform, random construction. This results in a significantly lighter filter, which can be used to reduce tar and nicotine delivery. This filter is available in both slim and super-slim variants. Consists of high-quality crimped cellulose acetate staple fibres, which are orientated randomly in an interlocked web and bonded firmly. 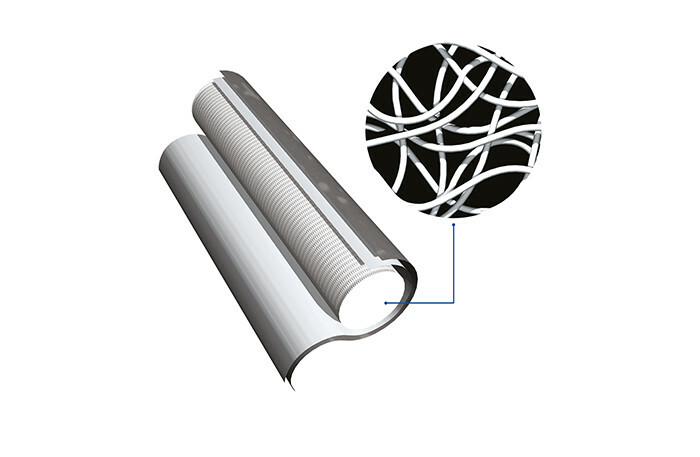 The filter is enclosed in an outer plugwrap as standard or porous. The structure of interlocked web of randomly orientated fibres differs from traditional acetate filters, which have continuous, essentially parallel, fibres. Designed to suit taste and filtration requirements – achieved with a density that is significantly lower than a standard mono-acetate filter.